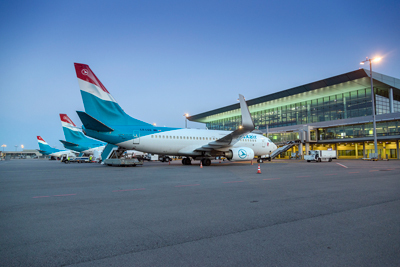 “The recent developments in the management structure of Luxair Technics, together with the company’s decision to grow its Boeing 737NG fleet, gave us the opportunity to evaluate our future technical requirements in terms of base maintenance services. Having collaborated with numerous MROs over the past years, we experienced FL Technics during the last C-Check season and remained positively impressed with their level of professionalism, know-how on type, and customer focus. We are confident that their level of efficiency will translate into future operational gains through improved base maintenance turn-around times and an enhanced dispatch reliability, and, consequently, we look forward to an excellent partnership with FL Technics”, noted Nitulescu Cristian Alexandru, Head of Engineering & Planning at LuxairGroup.